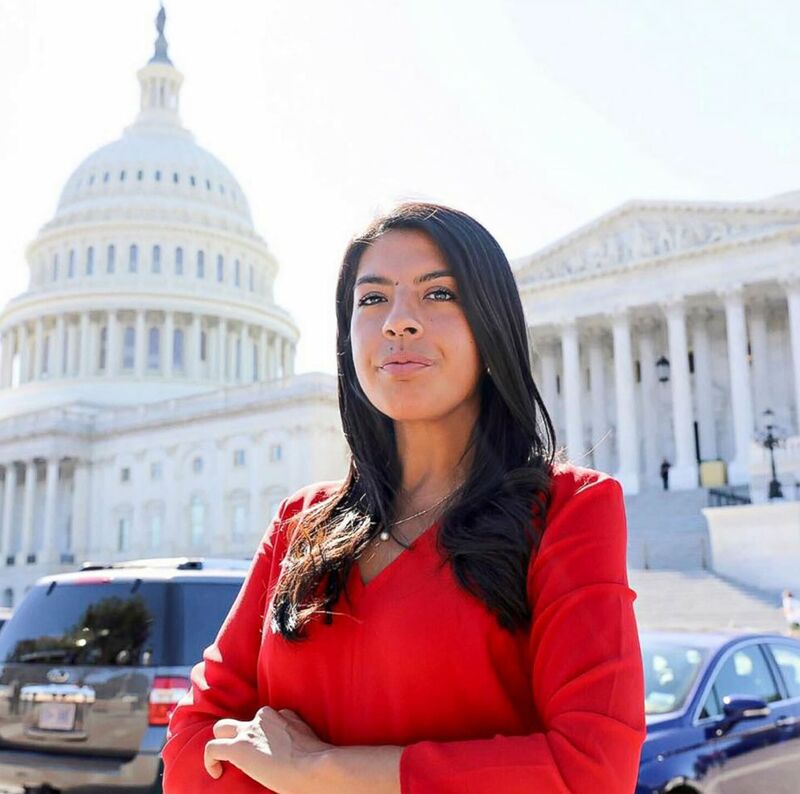 A DACA recipient shares her thoughts on Trump's State of the Union speech. Maria Praeli came to the United States from Peru in 1999 when she was 5 years old. She is a DACA recipient and immigration policy associate at FWD.us. Opinions expressed in this column do not necessarily reflect the views of ABC News. I remember attending my first-ever baseball game during a school field trip in third grade. I bought chicken tenders and fries, and borrowed a baseball cap from a friend. Years later, I marched with my clarinet and our school band in my town’s Memorial Day parade, honoring the sacrifices made by so many. I remember making layups as a point guard for my high school basketball team, and celebrating on my college graduation day. I have a life full of memories in this country, the place I call home. Me, someone who has been pledging allegiance to "The Star-Spangled Banner" since I was 5 years old. On Tuesday, I struggled to listen to the president of the United States refer to me as an “illegal alien” during his State of the Union remarks, challenging my patriotism and my loyalty to the country I love. (Photo courtesy of Maria Praeli.) 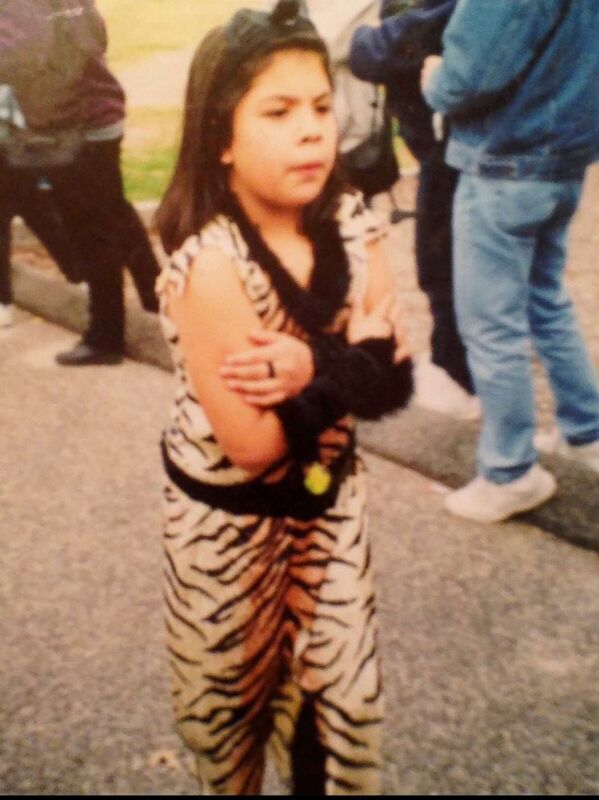 Maria Praeli marches in her elementary school's annual Halloween parade in this undated photo. I listened intently as the president outlined misguided proposals intended to repair our broken immigration system, but designed to exclude many of the very immigrants whose labor and love has helped this country thrive. I listened as he touted the need for unity, while calling for the most drastic cuts to our legal immigration system in nearly a century, denying many American families the opportunity to reunite with their loving parents and children. And I listened as he denigrated immigrants, never acknowledging the very problem he created when the DACA program began winding down in September, putting my life — and the lives of 800,000 others — at risk for deportation to countries we barely remember. Now my future does not look so certain. As a DACA recipient, each day that Congress fails to take action to protect Dreamers like me is challenging and emotionally draining. More than 18,000 Dreamers have lost critical DACA protections since the president eliminated the program in September — and without congressional action, I, too, will lose the ability to serve my community, and will face expulsion to a country that I do not know. (Amanda Savinon) Maria Praeli in front of the U.S. Capitol in Washington, D.C.
On Tuesday, I listened on as my life was used as a bargaining chip, and as the president presented a false choice to lawmakers, pitting one group of immigrants against another. Asking Congress to choose between radically slashing legal immigration levels and protecting Dreamers like me doesn’t make much sense. The majority of Americans — including 86 percent of the public, and 79 percent of Republicans — support legislation that would allow me to earn permanent status, according to a September 2017 ABC News/Washington Post poll. Members of all sectors of our community — doctors, business leaders, faith leaders, educators — are on our side. So why should protecting my life be used as leverage to fundamentally change the nature of who we are as a nation, and who we should be as a people? I wake up every morning with this excruciating weight on my shoulders, of not knowing what my future will look like and having to emotionally prepare to potentially be deported to a country I have not called home for almost two decades; a country whose language I struggle to speak, a place where I have not built a lifetime of memories. How does one prepare for their entire life to be turned upside down in the blink of an eye? My hope is for Congress to act with urgency to pass narrow, targeted legislation that will permanently protect Dreamers like me. Legislation like the USA Act — a bipartisan bill that both protects Dreamers and smartly increases border security — could garner enough votes to pass in both the House and Senate. Congress should bring it to the floor for a vote and send it to the president’s desk for his signature. 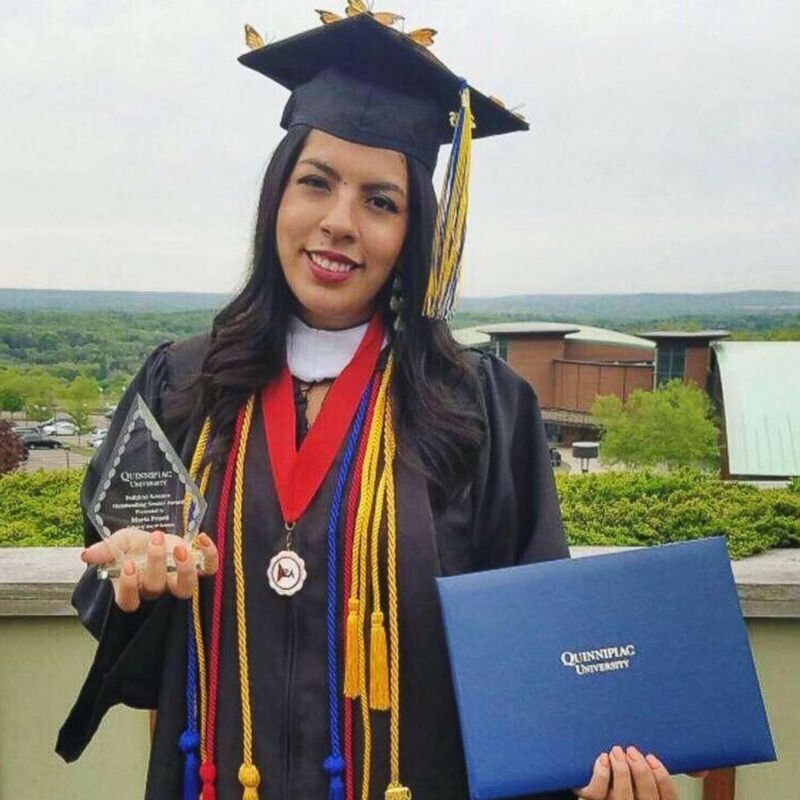 (Courtesy Maria Praeli) Maria Praeli at her college graduation ceremony at Quinnipiac University in Hamden, Conn.
Dreamers like me are facing dire expiration dates. We cannot keep waiting, and we deserve to be treated better than pawns to needlessly cut level immigration to historically low levels that would devastate our economy. It makes no sense to shut the door on others who want to come take part of the American dream and serve our communities. Our great nation is deserving of the many contributions that Dreamers like me provide. We have built a life full of memories in the United States and are just asking for the chance to continue to build those in the country we call home. Congress, the ball is in your court.